Aaron Rodgers can lead the Green Bay Packers to victory in the NFL Super Bowl LIII (AFP/Getty Images). Super Bowl LIII will be the 53rd Super Bowl to decide the league champion for the 2018 NFL season. 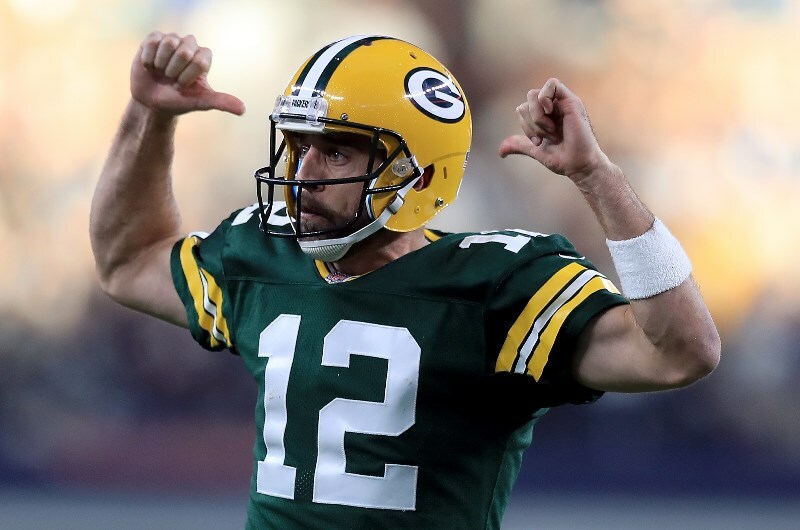 Scheduled to be played on February 3, 2019 at Mercedes-Benz Stadium in Atlanta, Georgia, the Green Bay Packers have what it takes with quarterback Aaron Rodgers leading the way. When asked whether or not he felt the Packers have the pieces necessary to win the Super Bowl, future Hall of Famer Aaron Rodgers replied “I prefer to fly under the radar”. Unfortunately for Rodgers, this team is too good to fly under the radar and are our early pick to win Super Bowl LIII. The Packers have had a great offence for the better part of two decades and this season will be no different. In Rodgers' absence in 2017 the team managed to find a running game and 2nd year back Jamaal Williams will look to build on a successful rookie campaign. Also in the wings is Aaron Jones who will serve a two game suspension to start the season. The combination of one or both of those running backs will help take some burden off Rodgers. When throwing the ball, Davante Adams is a very talented wide-out and the addition of Jimmy Graham gives Rodgers another red zone option. The Packers will put up lots of points, the question is whether they can keep points off the board. 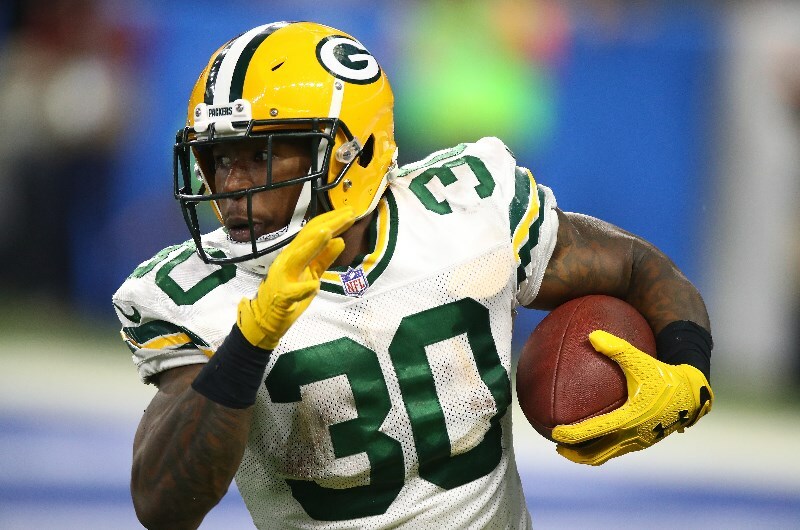 Green Bay Packers running back Jamaal Williams is tipped to improve after a promising rookie season (Getty Images). Over the last few seasons under defensive coordinator Dom Capers the Packers saw their defense crumble. They addressed this issue in a big way in the offseason by hiring Mike Pettine to replace Capers. Pettine is expected to bring more intensity on defense and Green Bay also added Muhammad Wilkerson who had his best season under Pettine to the fold. Mainstays Clay Matthews and Nicky Petty and a new philosophy should keep this team competitive every week this season. We wouldn’t call them a top five defense but it isn’t a stretch to see them between 10th to 15th which should be enough to win most weeks. In 2010 Rodgers won the Super Bowl and received MVP honors. It is somewhat remarkable that he has not been back to the championship game since then. Rodgers is unquestionably one of the best quarterbacks in league history and now has a huge contract and something to prove. I expect a 3rd MVP from Rodgers and if they can have a few bounces go their way in the playoffs they are a great bet for Super Bowl champions. Aaron Rodgers has what it takes to lead the Green Bay Packers to another Super Bowl victory (Getty Images). The Packers have an interesting schedule that makes an early bet on them to win Super Bowl LIII at 11.00 a good investment. Green Bay have a huge home game against the Vikings in week 2 but if they can get through that game there is a good chance they go undefeated into their week 7 bye. The Packers should make easy work of the Bears, Redskins, Bills, Lions and can beat the 49ers. At worst they will be 4-2, but being 6-0 is probably more likely. Coming out of the bye they face two tough challenges against the Rams and Patriots, but the market will have adjusted to the talent and potential of this team by then. If they get off to the good start we expect, it is likely the Green Bay Packers will be the betting favorites by mid season. The current odds on offer represent value with the price predicted to drop.